Can You Build Your Own Backyard Office Shed? If you spend a considerable amount of time working from home, you can’t do without a home office. Unfortunately, taking up a bedroom and using it for an office creates challenges with housing a growing family and/or making room for guests. Is there a better solution? When you have your own space with four walls and a door, you don’t have to worry about being interrupted by your spouse, children, or roommate. You also don’t have to worry about bothering them while they’re sleeping, working, playing, etc. There’s something to be said for creating some separation between your job and personal life – no matter how small that separation is. When you work in a backyard office shed, you’re able to carve out a place that’s specifically designed for work, while keeping your personal life inside the house. When you work in a spare bedroom or on the kitchen table, you constantly have to move things around and clean up after yourself. 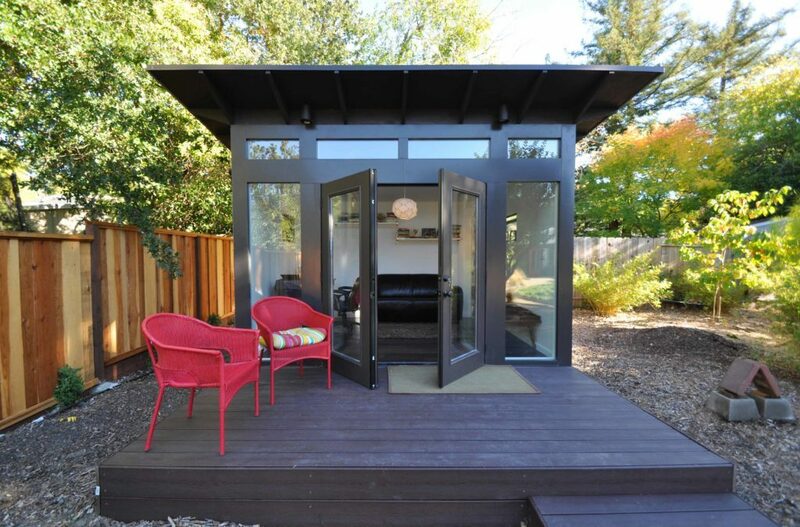 With a backyard office shed, the space is designed for work and nothing else. This allows you to use the space as you please. A backyard office shed isn’t the perfect solution, but then again – what is? If you’re looking for an opportunity to work from home without actually being inside your house, it’s the ideal compromise. If you’re looking for the easiest possible option, purchasing a shed from a vendor is your best bet. There are a variety of shed types – including ones that are portable, ones that are insulated, and ones that are designed for specific tasks like greenhousing. When shopping for a shed, think about factors like size, interior ceiling height, insulation, electrical receptacles, lighting, windows, and doors. Some sheds are far more conducive to living and working than others. If you can’t find a shed that will work in your backyard – or you have very specific needs that require the construction of a custom shed – consider building your own. If you have some basic carpentry skills or a knack for DIY projects, this could be a good project for you. If you lack the time, interest, and/or skills, a contractor can be hired. Whether you’re purchasing a shed or having one built, the placement and orientation of your office shed are important. If you have neighbors and HOA guidelines, consider where it can be placed to minimize visibility. If the shed has windows and doors, think about how you want to situate the unit for optimal privacy and viewing. These are relatively minor factors, but they can have a major impact on your satisfaction with the setup. Orient the shed so that all windows and doors are visible from the main house. Use window coverings to shield windows and prevent criminals from peering inside. Use a deadbolt lock on the door, as opposed to a padlock that can be sliced through with bolt cutters. Install some sort of alarm system and/or security camera to deter criminal activity and warn you when there’s a break-in. Taking so many steps can seem like overkill, but it’s better to be safe than sorry. You’re investing time and money into this shed, so go the extra mile to make sure it’s done right. Depending on how your home is set up, a backyard office shed could provide the privacy and seclusion of a home office while simultaneously enhancing your property and adding value. Take your time and find/build a shed that will serve its purpose for years to come.